A well-placed lightning strike can cause considerable damage to anything it strikes. 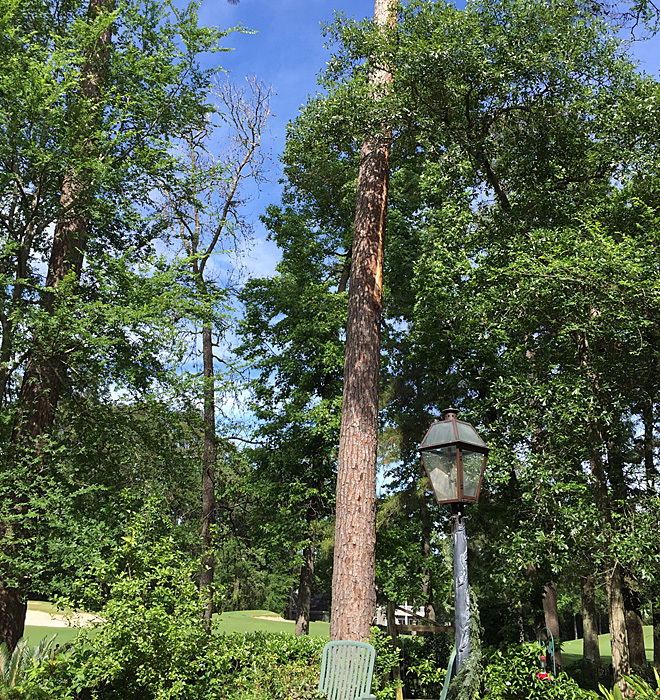 One bolt can produce up to a billion volts of electricity, so anything that gets struck tends to suffer significant damage, like the tree above. Needless to say, lightning damage can be a factor for your pool as well — but not necessarily in the way you might think. After dealing recently with the effects of flooding, we’re turning our attention to lightning. 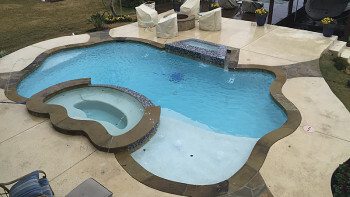 One strike, whether it hits the pool equipment directly or causes an electrical surge that trickles down to the lighting, wiring, or the modem of the internet router inside the house, can cause quite a bit of chaos with your pool’s features. In this article we’ll go over what kind of damage a bolt can cause and steps that can be taken to try to head off damage if lightning does strike. The modem could get knocked offline: If your pool is connected to the internet via ScreenLogic, the electrical surge can either knock out the power to your house, which will turn the internet connection off, or blow out the communication wires between your modem and the pool. 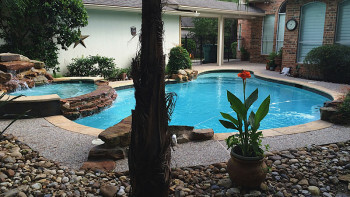 The first can be fixed when the power comes on, the second would necessitate a rewiring of the ScreenLogic so you can control your pool’s functions remotely. The underground lighting wires could be compromised: The surge from the lightning can travel all the way from the strike point down into the underground wiring, either damaging the lights or shorting them entirely. If its the former, it might take days or months until you realize that there is a problem. This is especially true with copper wiring. As far as the actual pool and spa, you won’t need to be worried about physical damage unless there’s a direct hit. That hit could come from the lightning bolt itself or from falling debris such as tree branches. Lightning could also inflict damage on any sort of irrigation system you have installed too. If that happens, we can repair for a fee through A Total Coverage. While you obviously can’t prevent your house from being struck by lightning, there are measures that can be taken to minimize the damage from the bolt. 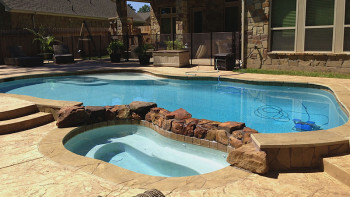 One option is to purchase a surge protector device for your pool’s computer system. The surge protector is designed to take all of the brunt from the lightning strike and protect the system for damage. It basically acts in the same way as an insurance deductible. It will need to be replaced with each strike, but if there’s any damage to the computer system the surge protector’s warranty will cover it. The other option is to have your homeowner’s insurance cover the damage costs and the cost of having an electrician fix any faulty lighting or wiring. While you wouldn’t have to keep buying surge protectors, the deductible on your homeowner’s insurance could be quite large (5-10 percent of your insurance value). Either way, those options are worth looking into so you have a plan of attack if a lightning bolt compromises your pool or irrigation systems. In our previous post we detailed the affects of a flood on your pool and the steps that can be taken to get your pool back to swimming shape. 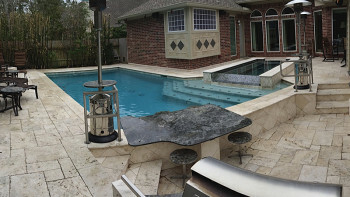 We recently received a story from a customer who put the advice in that post into practice to get their pool ready to go. 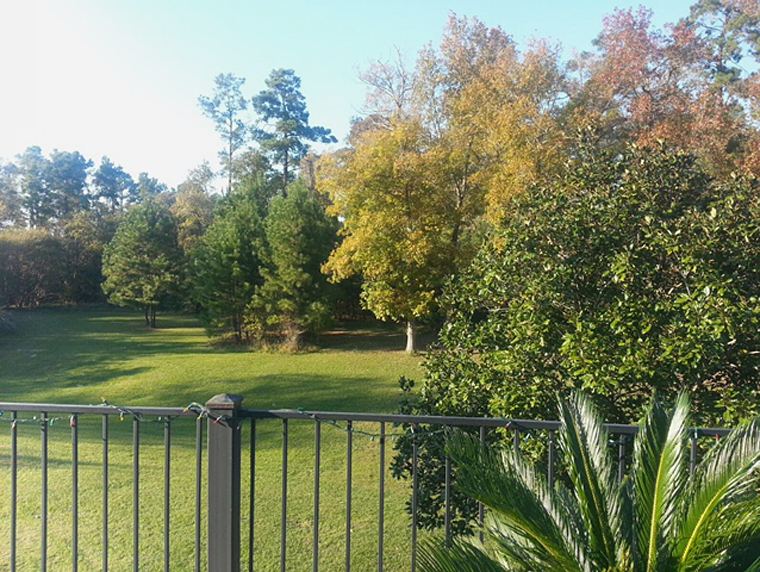 Join us on a trip into the Cochran’s Crossing section of The Woodlands, where we’ll see a skillful flood recovery. 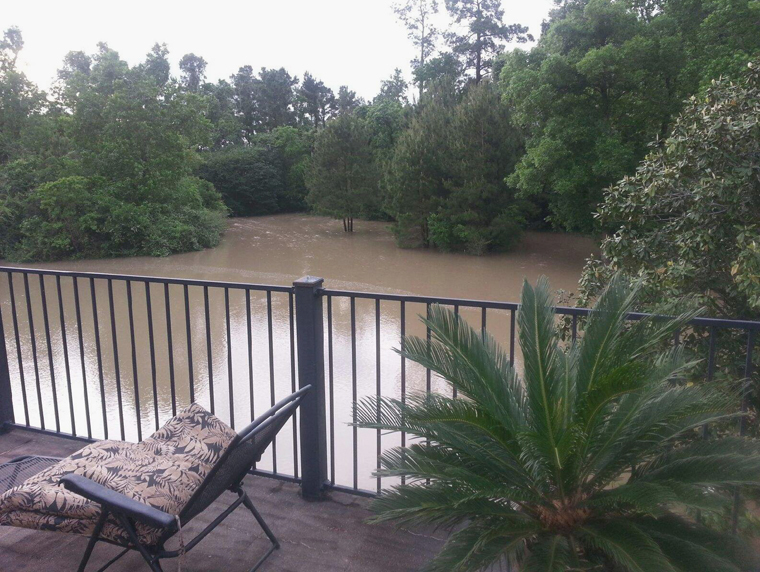 The recent deluge of rains led to a lot of scenes like the above scene in The Woodlands and throughout Greater Houston, as the heavy rain stressed local creeks and rivers and also oversaturated already wet soil, bringing groundwater to the surface. Therefore, places that aren’t exactly “riverfront property” got a temporary riverfront view. As the weather stabilized, the flooding receded and things started to look a little more normal. However, the dissipation of the flooding also provides the first real glimpse of the damage that was done. 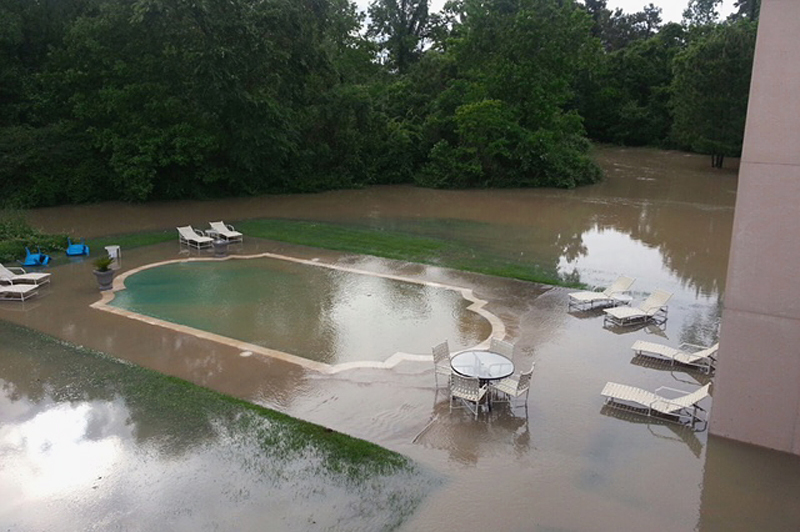 As you can see below, the excess water took its toll on this pool, overwhelming it with outside water, dirt and debris. So what was done? It was a multi-faceted process which involved drain and refilling the pool twice along with vacuuming the pool and cleaning out the filters several times. As explained in the last article, the pool wasn’t drained completely, as a completely drained pool could cause the shell of the pool to “float”. Instead, it was drained halfway to remove much of the murky water, then refilled with clean water. Once the clean water was added, the pool was vacuumed to remove remaining debris, with periodic filter cleanings taking place during the vacuuming process. Because of the amount of flood water and particulates that made it into the pool, the pool was drained and refilled a second time. 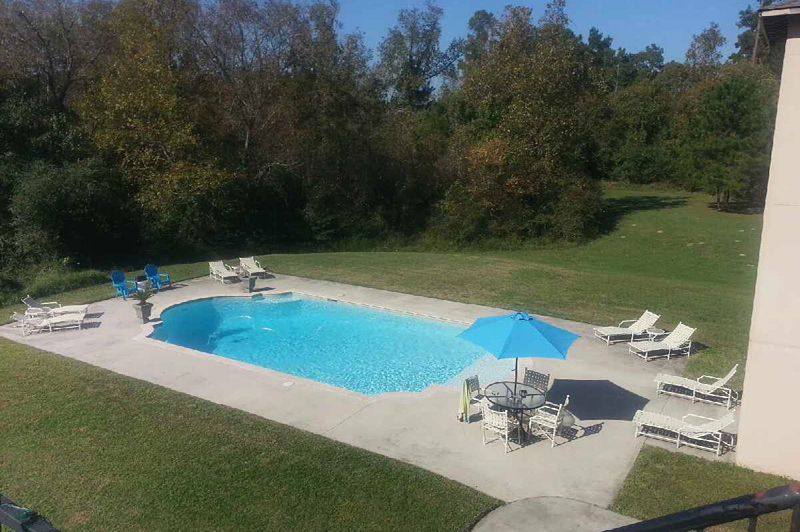 From there, the vacuuming and filter cleaning was effective in getting the pool back to being swimmable. As for the rest of the yard? That’s looking pretty good, too.